Experience the comfort of the new Viscolatex ® 10 inch memory foam mattress by Zinus. Featuring an innovative, latex-like foam that creates an incredibly responsive and durable sleep surface, this mattress provides 10 inches of foam comfort with just the right amount of bounce. 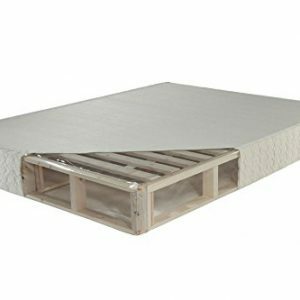 The innovative foam layering system of Viscolatex ® with high-density memory foam relieves pressure while the two layers of high density support foam provide resilience and long lasting support. The Zinus Viscolatex ® 10 inch Memory Foam Mattress provides full body comfort and support so you can sleep well and wake up refreshed. Our mattresses come with a 10-year limited warranty.